Plot twist ideas are hard to think up. 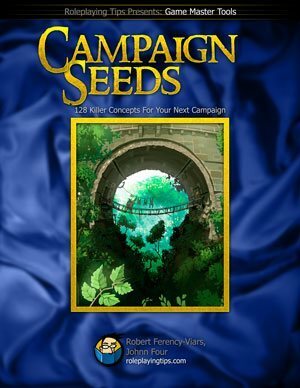 So, as I reviewed all the seeds when producing the Campaign Seeds: From Zero to Killer Campaign Concept book, I paid particular attention to the Left Hook plot twist idea section of each seed. There are some excellent twists in the book! And while reading, I noticed several patterns emerge and took a bunch of notes. The patterns self-grouped into several twist types, which I’m calling Campaign Twist Design Patterns. In this article, I share all 24 design patterns I noticed with you. Use them as templates to create your own plot twist ideas and layer cool surprises into your campaigns and adventures. If you have more twist ideas or links, please send them in and I’ll expand this list! This is my favourite twist on this list. It involves an informant spying on the PCs and then blowing their cover because of evidence the players can figure out and follow the crumbs back to their source. It’s a mini plot thread all on its own and you can drop it into almost any situation. For example, merchants who serve the PCs make great spies. They can ask about the PCs’ adventure to seemingly make conversation. They can pretend to be impressed and appeal to character (and player) egos to pump them for more information. Bartenders and waitresses, traders in magic and special equipment, craftsmen, sages, smiths – anyone the PCs go to on their own to trade with. And because the characters seek these merchants out, their guards will be down and they’ll reveal information useful to villains, information brokers, and gossips. Imagine the characters coming back to town to rest up, arms full of loot. After getting chatted up, the next day they find several adventuring parties following the PCs’ tracks back to the adventure site! Another example – the characters sell off a bunch of unwanted magic items and then later on encounter foes wielding them. The players have to fight their own treasure! I suppose this works to the group’s advantage, as they might recognize and possibly know special properties of the items being used against them. And if they win, they get to sell the items a second time. And if they return to the same merchant, they might try to rob him, knowing the bad guys just purchased the items and the merchant probably has that money hidden around somewhere close. But a merchant is likely to have figured this trick out, either from the hard way or because they’re smart. So they’ll have some kind of defense ready, such as a protection agreement from the thieves’ guild, villain, or some other strong faction. Man, this twist just keeps giving and giving! In this twist, each PC victory actually benefits the villain in the long run. First, create the game piece the players need to defeat. Then add an economy – figure out how each defeat adds points to a big game piece. Last, add a tipping point. When the pool reaches a certain level or amount, the game changes in some way that makes the PCs’ job more difficult. For example, and this is a spoiler for Chaos Keep so skip to the next twist design pattern if you don’t want to learn a secret about the adventure I’m making…. ….In the game’s world the PCs will explore, demons and devils feed on souls. Each time the PCs defeat a fiendish servant, that servant’s soul feeds the one who was its master. This is like XP for the master, and in this way it gets more powerful each time it “levels up” after gaining enough soul XP. This creates an interesting dynamic, where fiendish masters want to put more minions into play. If the minions defeat good, the masters win. If the minions die at the hand of good, the master win. It should be a great challenge for the PCs and a fun dilemma for the adventure! The PCs start the campaign fighting a particular foe. Then a new and bigger danger appears. Can the players put aside their hatred and team up? Or will the new foe be able to divide and conquer for the win? An NPC apparently serving one faction secretly serves another. This is a classic twist. 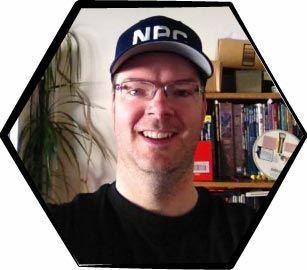 Your job is to play up and sell the NPC’s unquestioning loyalty so it catches players off-guard when the traitor is revealed. For example, the party spots a farmstead burning in the distance. They rush to help and find children caught in the cellar underneath the burning building. Meantime, the departing raiders spot the PCs and rush back to attack. After both threats have been dealt with, the players are left to figure out what to do with the kids. They’ve also captured a raider and interrogate him. They learn about a stage boss in the area and decide to counter-attack. Along the way it seems like the party keeps falling into the stage boss’s hands. No matter how much they interrogate their prisoner, who must be communicating with the enemy somehow, the party can’t figure it out. They also spend time searching for trackers and scouts who might be observing from a distance, but no luck. At last, the PCs arrive battered and limping at the stage boss’s base. He’s out front, with his toughest minions, to confront and slay the PCs. As the party prepares for battle the children run away, toward the bad guy, yelling “Daddy!” as he waits with open arms to be finally reunited with his family…. Surprise players with a foe who does not have the usual flaws. Do this by looking for rules that limit the foe. Then remove or change the rule. If your foes don’t have limits, then start adding flaws and hindrances to all the game pieces starting now. Not only does this make your games unique and interesting, but it sets you up to execute this left hook. For example, some undead cannot survive sunlight. The party knows this and uses it to their advantage at the beginning of the campaign. Then they meet the villain’s lieutenant, but he seems like a regular guy just having a drink at the tavern at noon. He comments how hot it is outside. When the PCs finish their business with their mugs of ale, rumour gathering, and catching up with the dark stranger in the corner, they leave. But they are ambushed in the street by the undead lieutenant and his minions. In broad daylight. Another example would be to make a race of monsters governed by different factions. Each faction is tougher than the previous, and each is susceptible to a particular type of poison. Figure out the poison the hill ratmen fall to, and it won’t be as effective on the mountain ratmen, for example. Then the PCs encounter the storm ratmen, but they are immune to poison – all poison. While the PCs try to figure out what type of poison will take the storm ratmen down, the creatures use this diversion to launch an attack elsewhere, where the PCs have just adventured and abandoned because there’s no gold left. Some kind of accumulation effect weakens and threatens the PCs in the end. Cthulhu has an insanity effect, as does the Barrowmaze mega-modules. You might use corruption instead of alignment. Or try some flavour of taint as the PCs get exposed to an ancient evil. The best left hook affects the PCs personally, such as something that affects a stat or score. For example, the party’s cleric follows a god of good. Each time a PC does something blatantly evil, they get an Evil Taint point. Grab a small container for them and put a bead in it whenever an evil deed is done. When characters get healing from the cleric, they’re healed whatever the cleric’s spell does minus their current Evil Taint score. An impressive and heroic good deed will remove one Taint Point. An activity thought to weaken a foe actually empowers them. For example, in Chaos Keep, some demons have a trait I’ve created called energy hardening. Every time a demon type takes 10 points of a particular kind of energy damage, all demons of that type get Resistance 1 to that energy damage. So, for every 10 points of fireball damage taken to Type 1 demons in the area, all such demons get Resistance 1 to Fire. The longer the PCs take, the more permanent a change becomes. This creates a scale of success instead of a total victory or total failure condition. Such a twist creates higher ongoing tension and more drama in a game. It’s a deadline effect, but things get tougher as the campaign winds on, like pulling on a rubber band. For example, an elder fire elemental takes roost in a nearby dormant volcano. The creature stokes the fires and causes an eruption. The longer it takes for the PCs to tackle the elemental, the more terrible volcano effects they have to overcome – and the more deaths in nearby communities and damage to the land occurs. Each week there’s more eruptions. More lava destroys the countryside. More ash blots the sun and piles up like snow. More landslides dam the river and block the roads. More earthquakes topple buildings and roust sleeping dangers. Each day the party fails to kill or eject the elemental, the land dies a little more. Another classic. Faced with two or more choices, none offer clear victory. To create a dilemma left hook, first create two desirable objectives. Then create a negative consequence for each objective if it is attained. This is the strongest design pattern. Another pattern involves creating a negative effect tied to the solution of each objective. But you risk the PCs coming up with an unexpected solution, bypassing the negative effect and thereby negating the dilemma. The dilemma is tied to the solutions, not to the objectives, so it’s a step removed and riskier. But maybe this is a good thing as it rewards creative thinking. For example, the PCs are en route to collect an ancient and powerful artifact that’s key to defeating a force of evil dragons. But it is this artifact that keeps a lich and his undead army slumbering. Remove the artifact from its pedestal in the dungeon and the lich wakes up elsewhere in the land. Make this a last-minute surprise so the dilemma pops up just as the party thinks they’ve solved their main problem and are about to choose option one. That’ll create a powerful gaming moment, as your players will be confronted suddenly with the dilemma. The PCs are on the wrong side. They’ve been tricked or forced into helping the villain’s cause. For example, the group’s patron and mentor is the villain in disguise (holy evil twists, Batman!). You can take this another level and have the PCs’ guide, mentor, patron or friend be the victim. They’re the ones getting played, and the PCs get caught working for evil too. For example, in Riddleport the head of the mage’s guild was a good guy. He was ambitious, and wanted more magic power though. This made him susceptible to demonic overtures. The rest, as they say, is history. Or, as I like to say, the rest is a golem army fuelled by abyssal treachery intent on taking control of the city and enslaving everyone. I say that a lot. The PCs are discarded after their mission or use is done. They are betrayed, robbed, attacked, or just not paid. Evil and chaotic employers do this as a standard practice. They don’t care about burning bridges. And they think they have enough power to keep angry minions in line and bullied. Perhaps this is why Adventurer Unions are formed, lol. The clincher is promise of a reward the PCs badly want. You might have to dig a bit to discover what this is, because it’s not going to just be gold and XP. You actually have to find out what the real fantasy is for the player and their character. What do they secretly dream about? It might be a power fantasy, such as acquiring a certain artefact or getting an adamantine bardiche that cuts through walls like butter brandished by a character over-optimized for breaking weapons and smashing things. It might be special gaming itch, like getting 100 followers and being Robin Hood. If you can find out what this fantasy is, and offer it as a reward, players will take big risks in the game, like working for a thieves’ guild with a bad rep for screwing freelancers over. For example, my secret gaming fantasy is to have a mage who earns a tower, gets apprentices who start crafting cool magic items, and starts a new faction within a well GM’d mage guild. I’d take risks to game that out! One or more PCs are in a relationship with NPCs, unaware they work to opposite ends or work for opposing factions. One approach is to give both sides the same goal on paper. But in reality, the means differ so much there’s a rift. But nobody realizes this until the end, when it might be too late. Make sure you keep the NPCs’ cards close to their chest. Else the twist gets revealed too early. For example, the characters go on missions for a good church to recover lost and stolen holy relics. But the party doesn’t realize this is a move by a power-hungry pope to consolidate power so he can turn the region into an authoritarian state and make the king his puppet. Another example, a bit closer to what I had in mind when giving this hook its title, is a PC and his girlfriend are members of the local thieves’ guild. They do heists together and have a grand old time. But the PC’s goal is to go up the ranks and become a bigger player in the guild, and the girlfriend’s goal is to scrape together enough gold to flee the city and guild forever. And neither ever talks about this until it’s too late and the PC finds the girlfriend packing up her belongings in their apartment after their latest successful heist…. The person who hires the PCs or mentors them is also the cause of the conflict for the purposes of making the PCs or the region stronger. I once ran a short-lived campaign where the kindly old sage revealed a prophecy to the PCs. The party was destined for great things and for someday challenging the world’s greatest evil. The prophecy hinted at various artefacts and adventure sites for the PCs to discover and explore en route to tackling the great evil. We never finished this campaign, unfortunately. But the twist was, the sage created the prophecy himself. It was all fiction. He was just using it to guide the PCs and strengthen them. The great evil was real, but the party was too weak to tackling it at that time. They needed hardening. The person who hires the PCs or mentors them also unintentionally caused the conflict, but wants that kept secret perhaps for reputation, political, or romantic reasons. There’s a module I can’t remember the name of where an archeologist NPC unlocked a gate to the abyss and couldn’t close it. Now demons flood the region, killing and destroying. He hires the PCs to fix the problem without telling them he caused it. I like this twist, especially if you can create a positive feedback loop, where more action by the PCs to solve the problem makes the problem worse. For example, in that module, what if the PCs close the gate, relieving the archeologist of his guilt and of the danger so he can go digging again? And he opens another gate. But he’s learning from each gate he opens. Maybe his secret dream is to explore ruins in the abyss. So, every new gate is bigger, which unintentionally lets more critters through. And each gate is more stable and tougher to close. It would be a fun circle to chase around as the PCs play whack-a-mole with these gates, giving the NPC easy absolution so he can open even more. The NPC being rescued doesn’t want to be rescued. This twist has been mentioned in the newsletter before. In one instance, I described a scenario where the kidnapped princess ended up falling in love with her exiled prince captor. The PCs come to rescue her, but she refuses to return home, and in fact, demands the PC cleric marry them. The PCs must choose loss for an individual but benefit for the community, or save an individual but to detriment of community. This is the same as the Dilemma left hook, but with a specific angle. It might test player and character beliefs in the value of an individual. Or it might test how they feel about the ends justifies the means. It might test loyalty to their community (guild, family, faction) versus friendship with the individual. The key here is to make the PCs’ relationship and bond with both community and individual very strong. The stronger the bond, the more difficult the dilemma. I’d pace this story so the twisted moment occurs when the threat is revealed. Before then, all gameplay builds the relationships, and the individual and community are tested with conflicts the PCs solve, but are never pitted against each other. Then, in the act or story climax, the choice suddenly descends upon the party’s shoulders. Acquiring the object of the quest turns out not to be the hard part. The difficulty lies in bringing it back, keeping it intact, protecting it, or fending off its negative effects on the return trip. For example, taking an idea from a recent book I read, Prince of Thorns, the artefact the PCs go through hell and back to recover is radioactive. Here’s one based on modern times. The fuel for the powerful item, policy, or event is unethical. Today, we trade dead dinosaurs for greenhouse gases, climate change, and overflowing landfills. An example from my Riddleport campaign, the paladin’s magic blade needed souls for its bennies. The party gets hit by a counter-force from an unexpected source. A great example from Campaign Seeds is a sentient forest that grows, travels, and operates at the speed of regular plant growth. This counter-force unfolds so slowly you could trigger it at campaign start and hit the party with it mid-campaign for a delicious retrospective forehead slap by the players. Another great example is a faction within an ally camp blocks the PCs for selfish reasons. Perhaps one of the elven allies is angry at all crimes the party is committing against their sacred customs. The elf gathers supporters and ambushes the PCs at the worst possible moment, such as during a stage boss battle. Not only does a second wave hit the characters during combat, but it’s a betrayal by an ally. I just saw a news item where a marathoner thinks he’s crossed the finish line, but he had another loop to run. Can you imagine the mental fatigue, never mind the physical, after putting all your energy into one last sprint, then thinking you’ve won and relaxing, and then learning there’s more vigorous running to do as others pass you by with smirks on their faces? In this left hook, the central plot is just the first part in a larger plan. And just as the PCs cross the finish line, they learn there’s more laps to run. For example, the bishop hires the PCs to recover holy artefacts. Successful, the PCs then learn the powerful items must be used to stop a lich who’s gathering forces to take down the church. Once they dust their hands of this task, the bishop seizes the lich’s library so he can become a lich himself and lead the church forever. Whiplashed, the party stops the bishop, only to discover Cthulhu secretly runs the whole organization. The villain did his evil deeds for a greater, good purpose. Reveal this fact during the final, climactic confrontation with the villain to force the PCs into a tough decision. This hook works well if you can build a good hate up in players for the villain so the moment of choice becomes excruciating. For example, bandits have terrorized the province for months. Death and destruction. It’s how the PCs got together – the bandit leader personally lead the attack on their village and slew their parents. But the bandit leader proved elusive for revenge. He put hostages in the way, created diversions with plagues in villages, and blackmailed the forces of good into inaction. Finally the party corners the villain in his lair….only to learn the bandit leader is the King in hiding, trying to figure out the source of the evil that could put an imposter on the throne, an evil with plans to enslave the whole kingdom. Surely sacrificing one province – the home base of the evil – is worth saving the land? Actually, that example works for the Sacrifice left hook too. Here’s another example, again a kingly one. The leader of the land enslaves its corrupt and lazy people to build an army to defeat an impending demon horde. The plot is meant to keep the forces of good divided and distracted while the real villain makes his moves elsewhere. For example, the archmage has his three most powerful disciples go forth into the world to wreak havoc. One pursues a prophecy about a terrible rain of fire. One builds an army of undead. Another starts unleashing curses. Meantime, while the white mages, kingdoms and demi-humans fight against his minions, the archmage works towards his real goal of lichdom or researching a world-enslaving spell. Pointing at others points 4 fingers back at you. The PCs quest to find the source of the problem and it turns out the problem is them. For example, the PCs have nightmares about a shadow group who will burn their city down. The nightmares provide a few clues that drives the party to find these evil-doers. During their quest, the group accidentally unleashes a terrible plague. The only way to save the city is to burn the plague out…. The villain pursues an objective that’s no longer valid. The PCs have been fighting a meaningless battle. I remember the episode of Gilligan’s Island where the Word War II Japanese sailor surfaces his submarine in the lagoon and takes everyone prisoner. The sailor had no idea the war ended decades ago. You could use this in your campaign pretty much as-is. The PCs fight an ancient mummy awakened and conquering the lands. They finally beard this villain in its lair only to learn the mummy is fighting a war he took part in while living, but ended two thousand years ago. Those are some great left hooks, plot twist ideas, and Campaign Twist Design Patterns. Reskin them over and over in your adventures and campaigns. As your group learns your tricks, escalate by combining hooks or twisting the twists to keep your players guessing. For information about Campaign Seeds: From Zero to Killer Campaign Concept and Left Hook plot twists, click here.